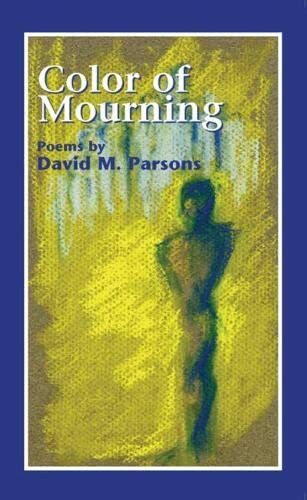 The title of this collection of poems employs the word mourning in a manner that expands the strict definition of the word and crosses the ordinary boundaries of the senses, where color, time, and place are triggers to memory and experience. The reader will be taken on an odyssey including sixteenth-century England, the ancient hills of Spain, a Renoir painting in Ft. Worth, a precarious cliffside inn on California's Highway One, a rare-book library in the heart of Houston, a high-school gym in Georgia, an East Texas pine forest, and the violet crowned hills of Austin. The forays collected in this volume always return to Texas, most notably Austin, where the power of childhood memories shed light on the author's life experiences during the pivotal periods of the sixties and seventies. Examples include poems chronicling the day of the University of Texas tower sniper tragedy and the award winning poem "Night Hawk," recording the time that the poet ran face to chest into LBJ in a popular restaurant, a poem, like the writer's collection, recapturing unique and complicated times with irony, wit, and joyful mourning. DAVID M. PARSONS'S first book of poems, Editing Sky, was the 1999 Texas Review Press Poetry Prize winner and a 2000 Violet Crown Book Award finalist. A graduate of the University of Houston's creative writing program, Parsons is a past recipient of a National Endowment for the Humanities Dante fellowship to the State University of New York and the French/American Legation Poetry Prize. He is serving as the Montgomery County, Texas, Poet Laureate (2005–2010). Parsons is married to award-winning graphic designer/fine artist Nancy Parsons.